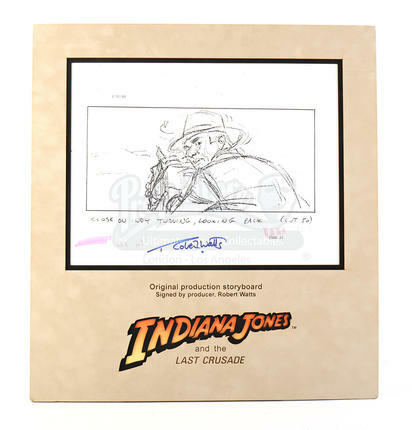 An original production-used storyboard copy used in the production of Steven Spielberg's classic adventure film Indiana Jones & The Last Crusade. 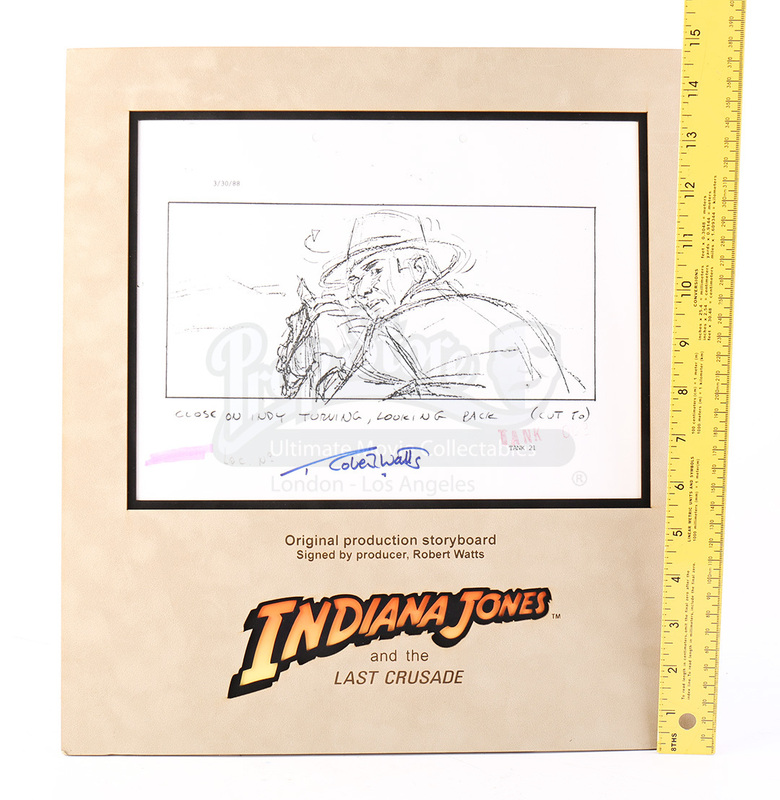 The production used copy is signed by the film's producer Robert Watts and has a printed description beneath the illustration, and is printed on US Legal-sized paper. 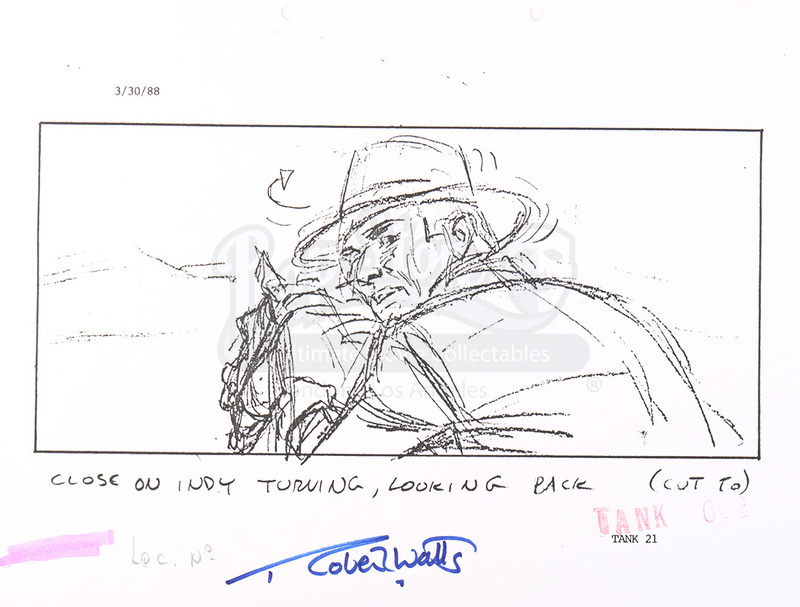 It is hole-punched at the top, indicating that it would have been held together in sequence with the rest of the storyboard pages. 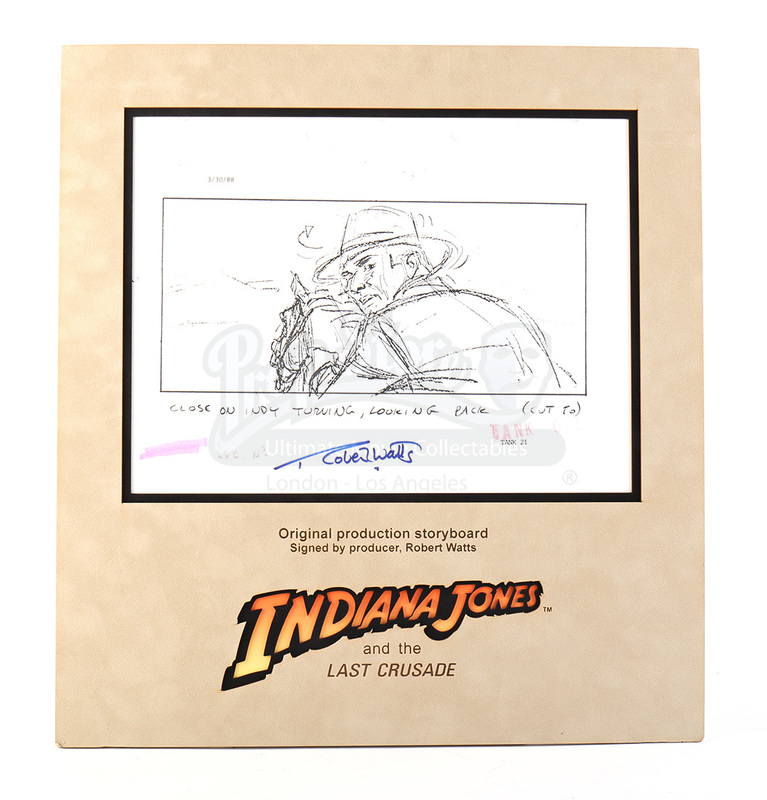 It comes framed (14" x 12.5" x 1") in a laser-cut mount board etched with the iconic movie title.